Karan Johar with twins Roohi and Yash. Karan Johar's twins Roohi and Yash will celebrate their first birthday tomorrow (February 7). However, filmmaker Karan Johar, who is famous for his star-studded Bollywood parties, will not throw a grand birthday bash on Yash and Roohi's birthday. Sharing the details about the intimate birthday party, Karan Johar said, "It's a small birthday party at home, with just kids their age. I want to keep it simple and intimate this year," reports DNA. "Karan has already spoken to his friends and invited them and their tiny tots to the party at his home. So there will be Taimur Ali Khan, Adira, Misha Kapoor, Laksshya Kapoor and some other B-Town kids," DNA quoted a source as saying. Karan Johar along with Roohi and Yash attended Rani Mukerji's daughter Adira's birthday, last month - the pictures of which were shared by Shilpa Shetty on social media. Karan Johar was also spotted with Roohi and Yash at Arpita Khan's Christmas party, last year and also at Tusshar Kapoor's son Laksshya's birthday. KJo also revealed why he doesn't take Roohi and Yash to his work place. "They're too small and travelling might get uncomfortable for them. But they will come with me to the office, eventually." And the babies have their own nursery at Karan's workspace. "I made it so that even when I'm working they feel at home and are comfortable. It's also a way of keeping them close to me," Karan Johar added. 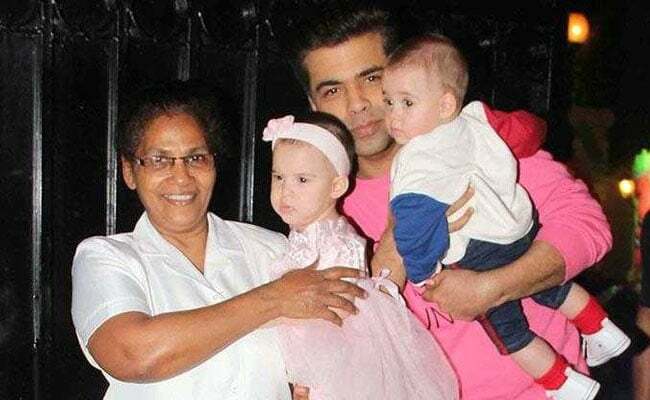 Karan Johar's twins were born via surrogacy in February last year. Karan named his son after his late father Yash Johar and Roohi's name is derived by rearranging the letters of his mother Hiroo Johar's name.